Tamim Iqbal marked his return from injury with a blazing century for the BCB XI. The touring West Indians - under brand-new captain Rovman Powell - lost their only warm-up game before the three-match ODI series that begins on Saturday in a high-scoring rain-hit contest. Even if it werent for the downpour, BCB XI were cruising towards their target of 332 on the back of the Tamim-Sarkar stand anyway. When the game stopped after 41 overs in the second innings at 314 for 6, BCBI XI were just 18 runs away from victory. 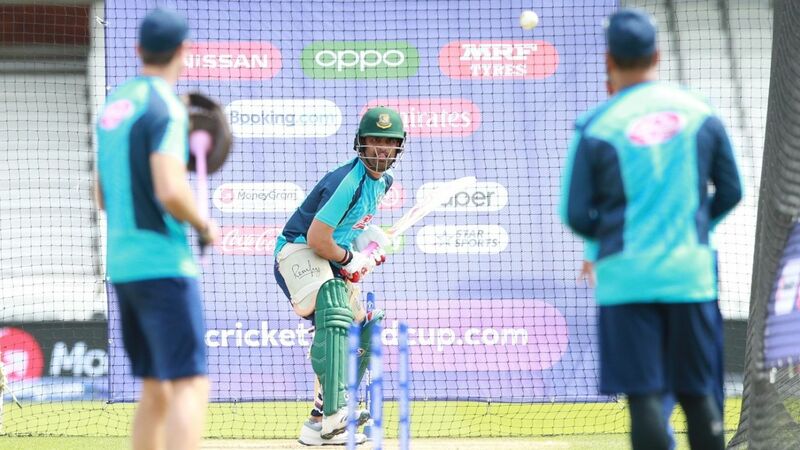 What would disappoint Bangladesh, though, is that the next highest score among the other six batsmen was Imrul Kayes 27. As for the West Indian bowlers, spinners found the most reward, with Chase and Devendra Bishoo taking four wickets between them. Chases offspin dismissed both Bangladesh openers while Bishoos legbreak earned him the wickets of Mohammad Mithun and Ariful Haque. Allen, the left-arm spinner, chipped in Towrid Hridoys wicket. The West Indian pacers, though, found it harder on a batting-friendly surface. Keemo Paul and Kemar Roach went wicketless at over 9 per over while Oshane Thomas leaked 57 runs in his seven-over spell.